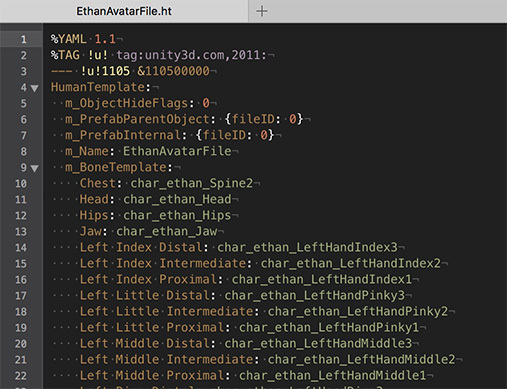 The Human Template window displays the contents of Human Template files as standard Unity text boxes. 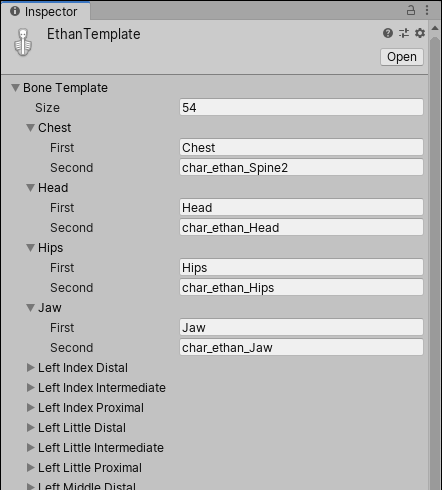 Each grouping represents an entry in the YAML file, with the name of the bone mapping target labelled First and the name of the bone in the Model file labelled Second. You can edit most of the values in this file using this property, but Unity instantly updates every change you make to the file. However, you can Undo any changes while this window is active.